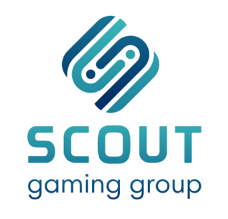 Scout Gaming has entered into a licence agreement with Jogajà. The agreement gives Jogajà full access to Scout's full Fantasy Sports platform. "We continue to build our global network and are looking forward to entering South America. We are gradually experiencing increasing global interest in fantasy sports”, commented Scout Gaming CEO, Andreas Ternström. Jogaja has recruited a team with wide experience from the gambling industry, led by Jacob Lindorff with backgrounds at Expekt, Betway and Bonnier Gaming. Jogaja is a start-up backed by Swedish venture capitalists with previous experience from successful launches in Brazil. "Fantasy Sports has experienced a strong global growth with US as a leading market. The Brazilian sports betting market is the largest in South America therefore we see great potential for daily fantasy sports. Together with our partners, media companies and influencers, we will launch the coming spring and have high ambitions for the product, ” said Lindorff.